Hello hello hello! These weeks are just flying by aren’t they? Only three more left of the year before it’s summer summer summer time! I can’t wait ’til we can all sit back and unwind. Ok, let’s get to it. Speaking of only 3 weeks left to go until summer, that means some of you – and some of your friends – will be graduating very soon! It’s a huge achievement and Furness would love to celebrate with you, all of your family and friends with an afternoon tea in Furness Quad and Foyer! Further information can be found on Furness College Website here and the £9 tickets must be bought here before 7th June. On that note, if you are graduating we would love to stay in touch with you through our Alumni Facebook Group. If you know anything about Trev then you’ll know we love our Gin! Come down on Saturday 9th June 2018 from 12pm-12am for World Gin Day. Trev will be offering 60+ gins with a special offer of buy any 2 doubles and receive a free tonic water. Are you ready to #GetLost at #LostCollege? Tickets go on sale TODAY at 4pm for Furness students to get priority and then 6.30pm for all other colleges! Tickets sell out in seconds so be sure not to miss out on what we know will be the best Extrav to date! That’s all this week Furnessians! Have a good one and we’ll talk soon! Hello Furnessians! It’s week FIVE and that means we’re halfway through third term already… time flies when you’re having fun, hey? Or maybe it just flies when you have deadlines – either way, the year is nearly over and you’re surviving! Pretty big one for you this week so let’s get started! As always, our Trev Quiz never lets us down and is back again this Wednesday at 7.30pm! This week the specialist topic is Charmed so bring £1, a few friends and make your way to Trev for a night of quizzing and the chance to win some cash for you and your friends! The Student Union’s Internationalisation and Community Team are organizing College Volunteering Away Days. This event gives you the chance to have some fun and socialising whilst also getting involved in some volunteering at the same time! Furness have been selected to go to the YMCA Pattersdale Estate in Cumbria on June 17 and so if you are interested in taking part, online applications open on May 24th and close on June 1st. University can be a very stressful time for many people and we know that students are more likely to talk to their friends over anyone else. Knowing how to help your friend in these situations can be very difficult and so there will be several ‘Look After Your Mate’ workshops running to provide you with tips on how you can help. Our beloved bar Trev is hosting a fundraising quiz on June 26th from 7pm. There will be an hour of quizzing, followed by a performance from Trip – the winners of this year’s battle of the bands! We recommend a donation of £5 – with all proceeds going straight to Centrepoint, a charity tackling homelessness among young people in the UK. Last but not least – and I’m sure you’ve heard plenty about it – we have Extrav! We are so excited about this year’s theme which will be revealed THIS FRIDAY at 1.30pm, keep an eye out! Extrav is the perfect way to celebrate the past year with a huge event, each one run by the college’s JCRs! This year is set to be incredible so WATCH THIS SPACE. Be sure to follow our event on Facebook to stay up to date with all things Extrav – including how and when to buy tickets! Annnnnd breathe! I told you it was a big one! Have the best week, Furnessians! Happy term three, Furness! Sorry for the slightly late one, a certain dissertation took over my entire brain capacity for a while, but we’re back! I hope you all had a relaxing Easter break, though I know some of you will have been hibernating in the library for the past few weeks and probably had no idea a break was even on the cards – hang on in there, you’ve got this! It’s back! 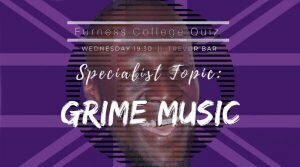 We know you missed it over the past four weeks but our beloved weekly quiz is back and this week’s theme is… GRIME! Head down for some fun and a well-deserved break from revision and coursework! As always it is just £1 a head to play – see you there! We’ve missed you! This time of the year might be overshadowed with revision but don’t be fooled, it is also one of the best times of the Lancaster year, because next week, on 4th May, Roses kicks off! A weekend full of our best athletes competing against York in a battle to prove that roses are most definitely red! You can buy a roses supporter pack (including this year’s Roses shirt) through Student’s Union! And you can find out all the information you need for the entire weekend on this website! We’ll be jamming the night away on Friday 18th May in Trev for a Jam-in-Furness night from 8pm! Anyone can attend this event for free and if you would like to join in, singing or playing an instrument we would love to have you perform! If you are interested please contact Paul at paul@paulpalmersax.com and if you’d prefer to sit back and enjoy some live music then Trev is open for all! Come have a little boogie with us! It’s soon time for the annual Richard Slatter Memorial Pool Competition which will take place in the JCR Room on Saturday 19th May at 12pm. Sign-ups will begin soon so be sure to keep an eye out for details on that! We know this time of year is full of work and stress but please remember to take some time out to relax and take care of yourselves! Remember that our welfare team (and the rest of the JCR) are here if you ever feel you would like a chat about anything. Our welfare team are easily contacted through our welfare Facebook page here! Ahhh It’s nice to have you back! Bring on term three because it’s not long until… EXTRAV! Good morning, Furnessians, you lovely lot you! Week seventeen, the term is closer to the end than the start, and before we know it Easter will be here – give me all the chocolate! I hope you’re all coping with the inevitable upcoming deadlines, if not then here’s this weeks Trev’s Times to distract you for five! Wednesday at 7.30pm, no matter the week, Trev’s Quiz never let’s us down! This weeks theme is… 1920’s US History! Brush up on your 20’s knowledge, bring your friends and give the quiz your best shot! What better way to end hump day than in Trev with good company and lots of fun! As always it’s £1 to play. It’s the time of the year that we start recruiting for the upcoming Welcome Week (and the rest of the year) Rep’s. If you’re interested in welcoming our new set of Furnessian’s, making sure they settle into our little Furness family, and improving your CV then you can pick up an application form from the post box room (behind the porters). Fill it out and return to the porter’s lodge by Wednesday of Week 8 to be considered! We’re giving you all the opportunities to get involved this term! We’re also still recruiting for our Extrav Committee – get involved in the biggest and best celebration of the year! Whether you want to help planning, decorating or promoting, you’re welcome to apply by messaging our Facebook Page and letting us know you are interested! Mighty Furness… Super Furness! The tenth year of Patriots is coming up which means it’s time to get super patriotic for our mountains! For all you fresher’s out there, patriots is our annual sporting competition against Cartmel – what do we think of Cartmel?… You know the rest! Follow the Event and Page to keep up to date with all the upcoming information regarding sign-ups! Deadlines, exams, strikes are all here and/or coming up and we all know how stressful these can be! Our welfare team are always around for a chat if you feel you could do with a listening ear. Follow our Welfare Page where you can message our team for anything you need! That’s it from me for the week folks! Have a good one and I’ll see you next time! Remember to breathe, eat well and look after yourselves, all will be ok! Another Monday another Trev’s Times… And speaking of time – isn’t it just flying? It’s week 15 already, we’re halfway through the year! We’ve got a long one for you this week, Furnessians. There’s a lot going on up in these mountains! First we just want to say another huge welcome to Jo – our new college manager – who starts full time this week! Welcome to the Furness Family! It’s back! The second 15 hour of the (academic) year is taking place this Saturday 17th February! The theme will be released later on today on our Facebook Page so make sure you keep an eye out for that, we’re very excited and we hope you will be too! Tickets (shirts) will go on sale this Wednesday (what a perfect valentine’s present) at 11am in the TV Room for just £8 a shirt! Don’t be silly and miss out, it’s always a really fun day to remember so be sure to come along! Come join us this Valentines Day for a joint social between County and Furness! With the aim of finding new love this Valentines, Lancaster’s own Drag Queen “Candy Cain” will cuff up 15 new couples to compete in a series of challenges across County Bar before we continue in town at D2bar. Join us from 8pm to win prizes including free cocktails and sugar entry! If you want to get involved sign up here or you can just come along to watch and enjoy the show! Can cupid (in Drag form) find love this Valentines? Come along and find out! As always our beloved Trev Quiz will take place on Wednesday as normal at 7:30pm in Trev! £1 per person to play with this weeks theme being… Board Games! Show how much you know and come along with your friends! Valentines Day is fast approaching and we all know that anyone can easily get lost in the romance of it all. Sexual health is always important to remember and our Furness Welfare Team will be out in Alexandra Square this Valentines Day with some helpful advice on how to keep safe, sound and healthy this Valentines (and all 364 days besides). Carter Shield is back this Sunday! Come and support and play for Furness to help keep our high position in the league tables! No experience is required, simply come along for some fun and a bit of friendly inter-college competition! Follow or Facebook page for upcoming details! This week’s results in Furness sports are all below – all in all a pretty successful week for Furnessians! We need your help! Extrav, for those of you who don’t know, is our huge end of year celebration and after our huge success last year, we need your help to pull off another amazing party! You can join our Extrav committee to be involved in the planning, preparation, decorating and execution of this years Extrav – a chance to work with fellow Furnessians to see how something this big can be pulled off! For more information and to put your name down message our Furness College Facebook page! Big exciting reminder that the amazing annual Gin Fest is back in Trev next week from 21st – 24th February! Come along to enjoy a huge selection of different Gins, a range of cocktails, amazing entertainment and a really fun time! Want the chance to win £750, improve your CV and get involved with fellow Furnessians? Join our College Sustainability Challenge Team! You can be involved in really making a difference at Lancaster and meet plenty of new people whilst you’re at it! You will work as part of a team of Furness Students to come up with new innovative ways to improve our sustainability as a University! If you would like to take part please message our Facebook page! YouTube – Junior Challenge Room! If you’ve missed the latest in Furness then Trev’s Times is here to catch you up! We now have a brand new YouTube series that we like to call Junior Challenge Room! Each week members of your JCR will go head to head in a series of fun challenges and the videos will be uploaded every Sunday! If you have any suggestions for challenges you would like to see then be sure to let us know! Watch this weeks video here! Andddd breathe! I warned you it was going to be a long one! That’s all from me this week you lovely lot, have a fabulous week and we hope to see you all at the end of it on the 15 hour! Hello everyone! I hope term 2 is treating you all well so far! Does anyone else feel as though Christmas break was a lifetime away? Time flies when you have a bunch of deadlines due! It’s a long one for you this week, there are lots going on up in the mountains! This week’s quiz has been taken out of our hands and put into the trusty ones of our Furness Inter-College Charity Challenge Team. They will be in charge of the quiz this week, but don’t worry, we are pushing our Harry Potter theme quiz to week 14. All proceeds this week will be going to the charity ‘LDHAS’ (Lancaster and District Homeless Action Service) which was chosen by you at the end of last term! It’s a nice bit of fun for your flat and this week it’s for a good cause and so it will be lovely to see lts of your lovely faces on Wednesday in Trev at 7.30pm. Speaking of College Challenges, you can now put yourself forward for the College Sustainability Challenge! Whether you want to be a part of helping Lancaster University become more environmentally sustainable, meet and work with other Furnessians, gain new skills and experiences to impress employers, or simply win a big shiny trophy along with a prize of £750 – make sure you sign yourself up! For more info on the challenge and to find out how to sign yourself up follow this link > HERE! This weekend we had a lovely big turn out for Team Furness in the first Carter Shield event of 2018! After coming third in our sub-group we fought for overall fifth place against Lonsdale and came out on top. This places us at a comfortable 2nd in the overall Carter Shield league table – Well done to everyone who took part, it was great seeing you all dodge those balls! The next Carter Shield event will take place in week five so be sure to keep an eye out for further info and not to miss out on that! We’d really love to see some of you supporting our amazing sports teams at their weekly matches! Anyone is welcome to come watch and act as cheerleader, for any more info message our sports page! All Bar Sports vs Lonsdale this week. Nightline is a nighttime listening and information service run by student volunteers of Lancaster University, for the students of Lancaster University. There to discuss anything from depression and mental health to just general chit chat it is a confidential and anonymous service that helps all of us. They are currently recruiting student volunteers to be call takers and publicity team members. All volunteers receive full training and get to be a part of something very fulfilling on campus. For more info, and to apply visit their website HERE! It’s coming up to Extrav time! Throwing it back to Furness’ recent sell-out Mardi Gras Extrav last June, we want to give you all another amazing end of year celebration! But to pull it all off we need your help! If you want to be a part of planning and preparing for this years Extrav and want to join our Extrav Committee, please message our Facebook page for more info! Andddd that’s a wrap for this week! Thanks for sticking with us, I know it was a long one! I hope you all have a lovely week and that we get to see some of your faces show up at any of our events this week! See you next time Furness! HELLO!! 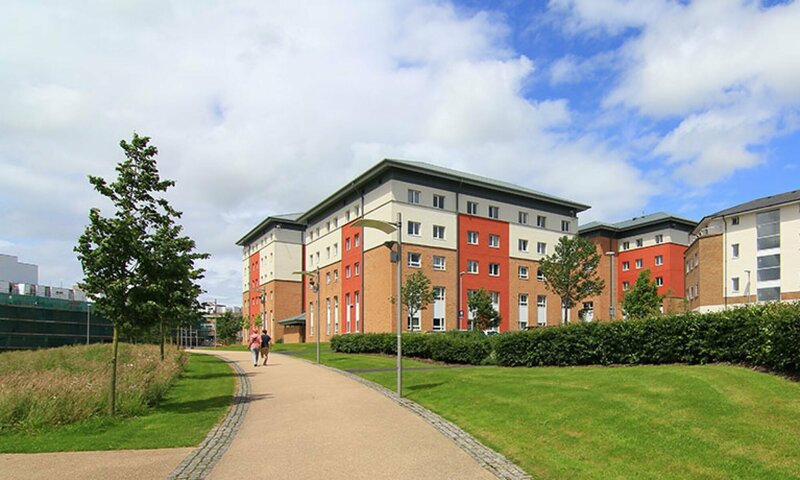 Welcome back you lovely lot, I hope you have all had a well deserved break and are ready to get back into campus life! First off let’s deal with the elephant in the room… At the end of last term we said a tearful goodbye to our College Manager, Bev and a happy hello to our new College Manager, Jo! But with Bev goes Bev’s Hills and so say hello to our new newsletter, Trev’s Times! What would the start of a new term be if we didn’t have some events for you? It’s time to refresh those fresher’s week vibes! We’ll let you get yourselves (and those week 1 essays) settled first but on Wednesday we are bringing a storm to your week! Before our big night on Wednesday we won’t be forgetting our weekly Quiz Night! This week’s theme is Lancashire so be sure to brush up on all your Lancs knowledge. On Wednesday night we’ll be throwing it back to our school days with a Back to School themed mini-crawl. Meet in Trev at 9pm in your best uniform, from there we will head down to Dalton Rooms before we end in Sugar. After a big night on Wednesday it’s time to get some relaxation in with our Movie Night before Friday comes around! Don’t forget to vote for your preferred movie in our poll HERE and then head to Furness TV Room for 7pm on Thursday to settle down with some blankets and snacks! It’s back and better than ever… The annual Gin Fest taking place in Trev is returning SOON! With over one hundred different kinds of gin, a selection of signature cocktails and the best live music and entertainment. To keep up to date with all things Furness Gin Fest, you can find the Facebook event page HERE! Just like the old, our new Furness Welfare team are always here, to help you through anything that is bothering you! Whether it be deadlines, friends, homesickness or any other struggle you may have. Feel free to message the Furness Welfare Page or email furnesscat@lancaster.ac.uk for any assistance you may need. To get us all back into our usual active spirits after the holidays, there is a College Touch Rugby Tournament happening on Wednesday 17th at 2pm – 4pm. It’s all for fun and if you would like to play for Furness all you need to do is message our Sports Page! If you feel as though you missed out on joining our wonderful Netball team, fear not! There will be open training sessions this week that anyone will be able to come along to, Wednesday at 1-2pm and Thursday at 7-8pm. Joining our sports teams are a fun and social way to get involved with Furness and make some amazing new friends so give it a go, even if you’re not sure! The start of this term marks the start of your new JCR and on behalf of us all I would just like to say that we are all so excited for the year ahead and we hope that we do you proud! We would also like to say a huge thank you to the JCR before us, we know how hard you worked last year and all of Furness wish you the best! That’s all from us this week folks, have a good one and I will see you all in week twelve!